Many Americans suppose all remnants of slavery and Jim Crow laws are long gone. Illuminating how racism persists today, this historian and Christ follower points the way forward. Drama continues to surround Virginia Governor Ralph Northam, and whether or not he will step down from his role of statewide leadership. Yet the offensive photo and reactions provide an opportunity for soul-searching among all Americans. In many cases, events and symbols viewed as derogatory by racial minorities barely register with the majority. Racism and its roots often remain unexplored. 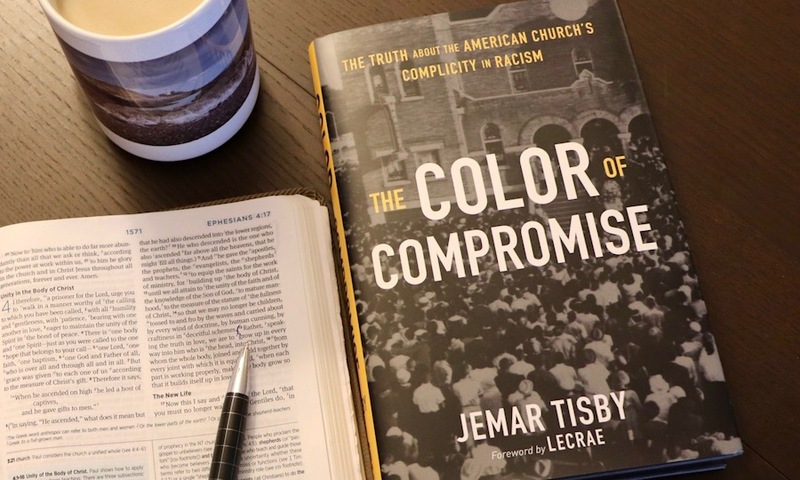 Black History Month is an ideal time to study, ponder and pray regarding the need for racial reconciliation, says historian and theologian Jemar Tisby. Having earned degrees from University of Notre Dame and Reformed Theological Seminary, Tisby is currently completing his PhD in history at University of Mississippi. He speaks often at Christian conferences on reconciliation and leads a ministry called The Witness. In a phone interview from his hometown of Jackson, Mississippi, Tisby spoke on the black church, systemic racism and one step every believer can take in solidarity. It has been lightly edited for clarity. Many lament that 11am on Sunday is still the most segregated hour of the week, to borrow a phrase from Dr. King. Yet we rarely inquire deeper. How did separate black denominations come into being? 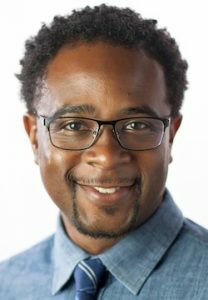 Jemar Tisby: It may surprise some people to know that, prior to the Civil War, there were racially integrated churches. Black Christians worshipped in white congregations. But it’s not because the white churches or leaders had some broad-minded ideas about racial equality. The reason they were all in the same building together is white people didn’t want black people meeting together on their own. Because then black people would start to think about freedom and plan to escape or rebel. It was a paternalistic method of control where white Christians kept an eye on black Christians. After the Civil War, you don’t have slavery as the law of the land anymore. Black Christians make a beeline to form their own churches. That’s where you get the rise of historically black denominations like the National Baptist Convention and the Church of God in Christ. Black people were finally free. They wanted to worship in a place that affirmed their human dignity, gave them opportunities for leadership and reflected full equality in the sight of God. The only place they could do that was in their own churches. What is one truth the church at large can learn from what black churches endured? Tisby: Broadly speaking, black church traditions have not bifurcated social justice and the gospel. In the 21st century, there is a vigorous debate among some Christians about whether they can or should pursue social justice. Is that a distraction from the Gospel? For people who were enslaved, segregated and subjected to oppression because of their skin color, it was never an option to separate social justice and the gospel. To be a Christian was to pursue justice. That meant fighting injustice in whatever way, shape or form it appeared. There are lessons from the black church about how to faithfully be a Christian. We need to see justice as part of our Christian calling, not a distraction from it. As you examined these difficult events in the American church, how did you define “racism”? Tisby: Conversations often get sidetracked because we use the word “racism,” but we don’t have a shared definition of it. The first chapter defines terms, as sociologists do. The definition I use is from Beverly Daniel Tatum’s book Why Are All the Black Kids Sitting Together in the Cafeteria? It’s simply this. Racism is a system of advantage based on race. That’s important because it gets at the idea that racism is more than just interpersonal feelings that you have about someone of a different race or ethnicity. Systems, policies, laws and practices can be racist in their very conception. It helps us see racism more broadly than just someone using racial slurs or people dressing up in white robes and hoods. Racial inequality gets perpetuated through impersonal systems: in residential patterns, in education, in mass incarceration and other institutions. What you’ve compiled in this book could discredit the church. Why shine a light on racism? Tisby: There are many reasons I wrote this book about racism in the church. But I can boil those down to one sentence. I wrote this book because I love the church, but I hate racism. My hope is that anyone of any race, ethnicity or cultural background would be able to walk into any congregation in America and feel like they are with family. But that has, historically, not been the case. If we’re going to change it, we have to understand the depth, gravity and ugliness of racial sin within the church. It can motivate us to want to take action right now. I write not as a hater of the church, but as a lover of the church. My desire is to see the church as a healthy body, as the Bible explains that we should be. Many consider racism to be only in the past, or someone else’s issue. How do you respond? Tisby: For those who say that racial justice concerns are not their issue, they are right — and they’re wrong. They’re right in one sense. If you’re white, you don’t have to think about race because race is not an impediment to you. Race is actually an advantage to you, whether you’re applying for a job, seeking health care or looking for a place to live. In a real sense, some people don’t have to think about it. The challenge is to force yourself to see it. 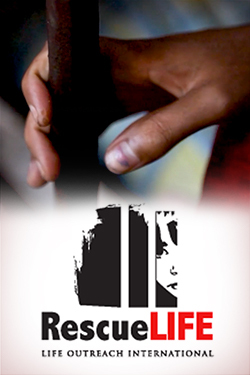 For minorities, their race and ethnicity tends to be an obstacle for them in various ways. But they’re also wrong. What racism does is it distorts your picture of others — and yourself as well. You start to get an inflated sense of self because of your race. That’s not healthy for your soul, and it affects how you treat other people. Yes, some white people can avoid taking up racial justice issues. But the negative effects of racism are something that none of us can escape. Racial reconciliation leaders regularly invoke repentance for collective guilt. Where is this concept found in the Bible? Tisby: The corporate nature of faith is embedded in Christian theology. We see this with the people of Israel in the Old Testament. Often they were lifted up or condemned as a group, based on decisions of particular individuals. For instance, the sin of Achan in Joshua 7 had national consequences. Christians recognize that Adam’s sin in Eden affected all of his descendants. The Bible talks about all of us needing redemption. The new Adam, Jesus Christ, brings that to us. Christ is our corporate head. It is not because of our own works that we get salvation — it’s because of what Christ did for us. The deeper issue is, we don’t want to feel guilty. We don’t want to say that we ourselves are racist, or are culpable in a racist system. We are all instinctually wired to think more highly of ourselves than we ought. That’s why the Bible talks so much about pride. But the Bible also talks about being a body with many parts. When one part of the body suffers, we all suffer. You noted how laws and other structures often reflect racism. How does this truth about the church’s shared responsibility connect? Tisby: This is a critical understanding. If you only see racism in interpersonal terms — like that’s the whole problem — then the solution is having a cup of coffee or a meal with someone of a different ethnicity. Those are good things, even necessary. But they are not sufficient. Addressing corporate and institutional racism confronts what is causing the hurt. You have brothers and sisters across racial and ethnic lines who are in pain and even being killed by racism in its various forms. The question is: what are we as the church going to do when one part of the body suffers? How can the Body of Christ today be healthy? We can’t be healthy as long as the parts of our body that are black and brown are suffering and in pain. While the book includes several, what is one action Christians should take against racism? Tisby: Whenever a racist incident occurs, there is often a desire on the part of racial and ethnic minorities for our white brothers and sisters to speak up. We don’t want to be the only ones fighting these battles out in public. The public part is important because then it’s costly. Then people can see who you’re allied with and where you align yourself. It could cost you friendships, job opportunities or favor in various forms. But guess what? It has already been costly to racial and ethnic minorities. To be an ally, you have to be willing to take on the burdens and blows of the oppressed. If you are only willing to speak up about racism in private and in relatively safe settings where it doesn’t cost you much, then your level of commitment to true racial equality is clear. In particular, I am talking about pastors, church leaders and public theologians — people with platforms. They have more to lose in terms of popularity or revenue. But pursuing racial justice means we’re willing to suffer for the sake of righteousness. 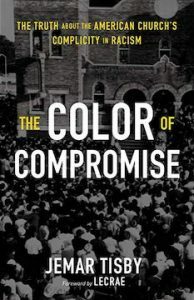 Jemar Tisby’s book The Color of Compromise is available online and in bookstores. Explore complete coverage of racial reconciliation issues, and sign up to receive top stories every week.